P. Tamayo And Ernesto J. Del Rosario, J. (2014). Chemical Analysis and Utilization of Sargassum sp. as Substrate for Ethanol Production. Iranian Journal of Energy and Environment; previously called: Iranica Journal of Energy & Environment, 5(2), -. Jelynne P. Tamayo And Ernesto J. Del Rosario. "Chemical Analysis and Utilization of Sargassum sp. as Substrate for Ethanol Production". Iranian Journal of Energy and Environment; previously called: Iranica Journal of Energy & Environment, 5, 2, 2014, -. P. Tamayo And Ernesto J. Del Rosario, J. (2014). 'Chemical Analysis and Utilization of Sargassum sp. 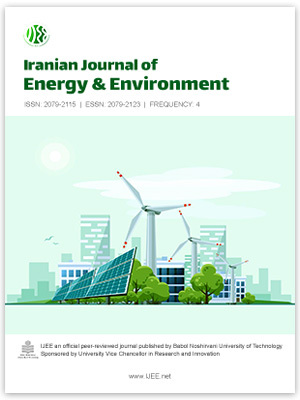 as Substrate for Ethanol Production', Iranian Journal of Energy and Environment; previously called: Iranica Journal of Energy & Environment, 5(2), pp. -. P. Tamayo And Ernesto J. Del Rosario, J. Chemical Analysis and Utilization of Sargassum sp. as Substrate for Ethanol Production. Iranian Journal of Energy and Environment; previously called: Iranica Journal of Energy & Environment, 2014; 5(2): -.